Here's the review I did of Hellen Jo's Jin & Jam #1 for Maximum Rocknroll (issue #315, August 2009). I liked this comic book the minute I laid eyes on it. I mean, I know you’re not supposed to judge like that, but come on – the cover is bright yellow and there’s two badass girls smokin’ cigarettes in a cloud of unidentifiable confetti on it. I’ll take it! 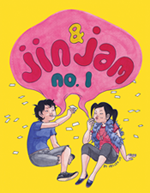 Jin & Jam #1 is an introduction to our two main characters, Jin & Jam, and the other misfits in their somewhat-fantastical world of San Jose, California. Hellen Jo’s style reminds me a lot of some current comic greats, particularly Daniel Clowes, which is a good thing. Better yet, the weirdo characters are right up my alley. Jam reminds me of my tough-guy queer college bud that used to push me around all the time, and Jin, who’s still forced to go to church by her parents, ends up in a schoolyard fight with a set of conjoined twins. I was kind of bummed that the fight sequence took up so much of the comic, and was definitely excited to hear more about Jam’s favorite band, the Beefsteak Boys, which ends up being the only uniting force between the schoolyard ruffians on this particular day. But being youngins, they never get into the club, and instead Jin and Jam get to hang out and begin establishing their unique friendship. 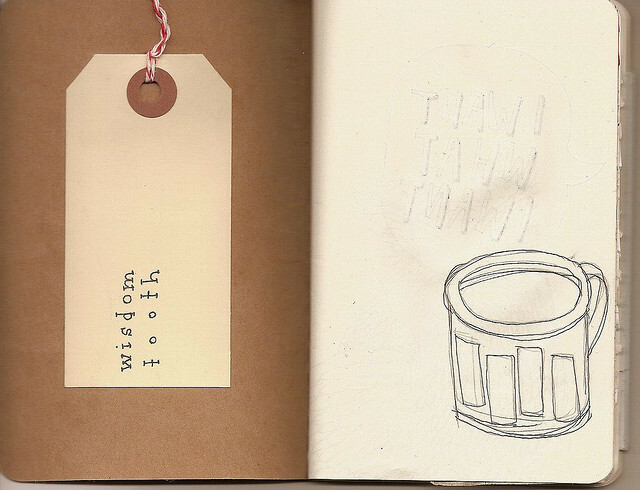 Hellen Jo’s fresh illustration and misfit characters show a promising start for this new comic. Jin & Jam is definitely an exciting debut. Bring on issue #2!